RecordMyDesktop is a free open source linux desktop screencasting program and it producing an ogg encapsulated theora and vorbis output file. 1.Open linux mint software manager.To open software manager in linux mint, click Menu button and select software manager under system. 2.Type recordMyDesktop in the software manager search field and select gtk-recordMyDesktop. 5.After the successful installation close software manager and click start menu. 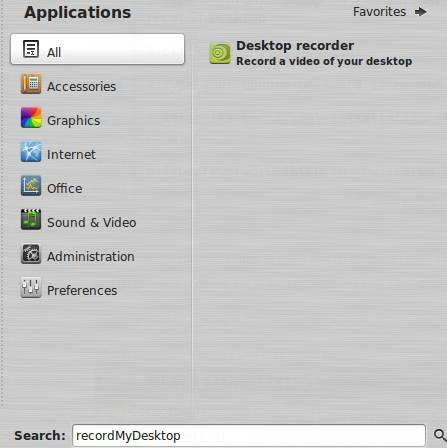 6.Type recordMyDesktop in the search field and click Desktop recorder.